Our first speaker will be Spence McNamara who will be a freshman in high school next year and is passionate about the outdoors; he loves to fly fish, hunt, hike, camp, backpack, sail and scuba dive. This summer he will be attending the Trout Unlimited Teen Summit at Georgetown Lake in Montana and is very excited to participate in this national program with other young people who like to fly fish for trout and are interested in conservation. Later in the summer he will also attend his second Texas Brigade program – the inaugural battalion of the Coastal Brigade. He is a Life Scout and is currently working on his Eagle Project which is a video tribute about his Mom, who recently passed away from cancer, that will be used by Casting for Recovery in their fund raising efforts. CFR is a non profit organization that helps breast cancer survivors and patients recover through fly fishing. Spence was the first person in the Thunderwolf District to earn the Complete Angler Award and the first in the Sam Houston Area Council to earn the Dr. Bernard Harris Supernova Bronze Award. He has a long term goal of summiting the highest points in every state, has hiked to the highest points in Texas (8,750′ Guadalupe Peak) and New Mexico (13,159′ Wheeler Peak) and will try to climb Colorado’s highest peak (14,439′ Mt. Elbert) this summer. In his spare time he likes to tie flies, play tennis, fold origami and play table hockey. Our second speaker will be Jere Anderson. Jere is the Texas Council Conservation Chairman, an Angler Education Area Chief specializing in entomology and fly tying, and is the Bronze Award Evaluator for Texas in the IFFF Skill Award process for the Bronze Level. In that regard, Jere will be explaining the Fly Tyers Group Skill Awards, and answering any questions you may have. He has evaluated 2/3 of the Bronze award holders in Texas and will cover the flies required along with how to make them winners in the skill awards. The Bronze Award is designed to be something that most good intermediate fly tiers can succeed at and achieve. 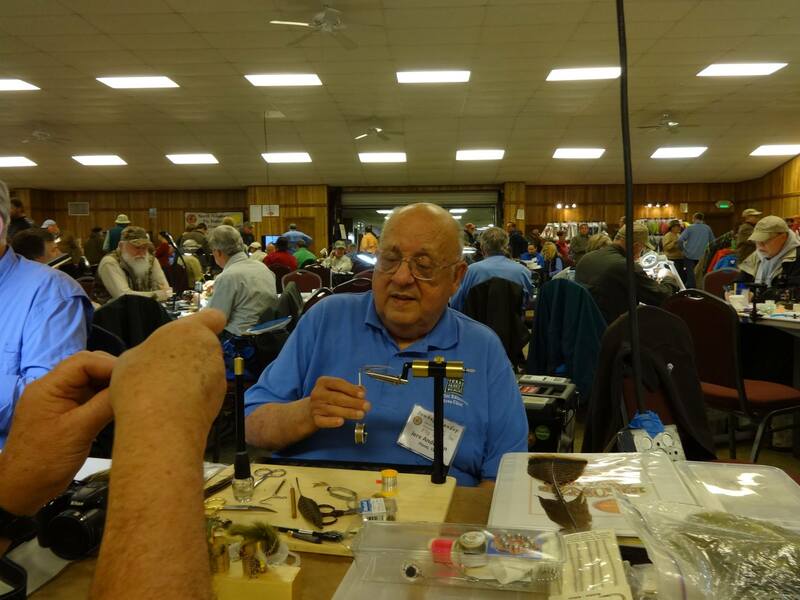 He has been fly tying since he tied his first fly in 4-H camp in 1950. So come on out to the May 2016 meeting, hear about what goes on in the life of a young fly fisherman, find out about the awards program in the area of fly tying, watch some fine fly tying before the meeting and just socialize with fellow fly fishermen and women. We would be glad to have you at the meeting. Great posting Jim. You guys in the Programs commitee are doing a great job keeping the monthly meetings interesting and diverse. Kudos to young Spence for stepping up to talk to a large group about his passion for fly fishing. Maybe there’s a further Tyler Befus here. Thanks David; I’ll pass along your comments to the others on the Programs Committee. Providing a mix of speaker topics to the members is one of our major goals. I agree that Spence is to be applauded for stepping forward to make his presentation. 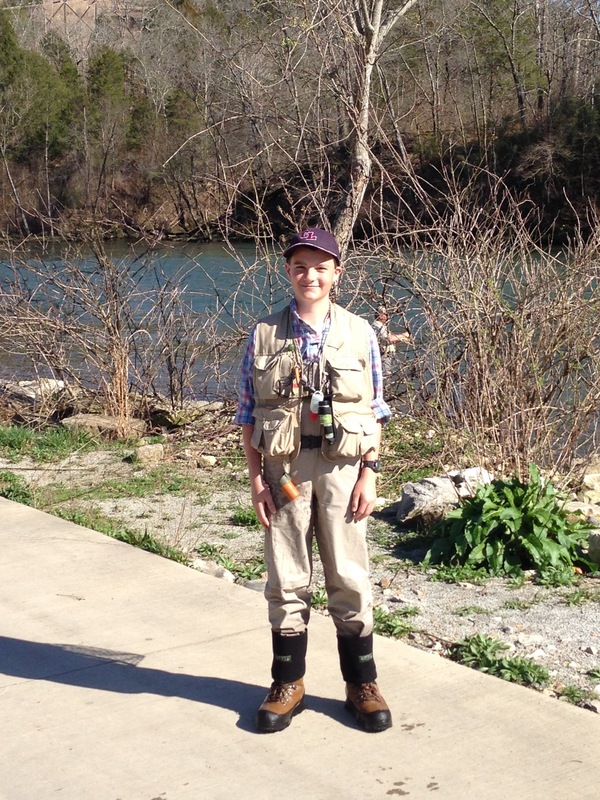 He is an impressive young man and is an example of how the hobby of fly fishing appeals to a wide range of ages.